NLP Predicates are language, words and phrases that we currently use and indicate our preferred representational system. Eg Visual predicates: look, see, vision, perceive, transparent. 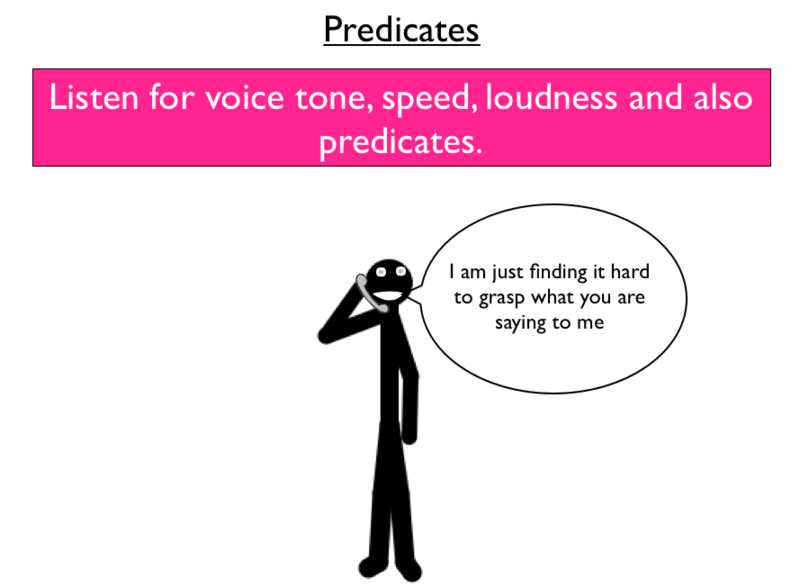 Auditory predicates: listen, hear, tell. We have hundreds of examples of visual, auditory, kinesthetic and unspecified predicates in our NLP online training material.